don't be a coconut: Happy ‘Merdeka’ Day! 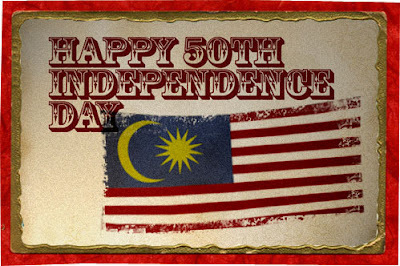 Happy 50th Independence Day Malaysia, that’s a big 5 ‘Oh’ or half a century to you. Yup, I choose to not be ignorant and acknowledge that today is in fact the day that Malaysia has reached the age of mid-life crisis to all mid-life crisis. We may be lacking in some departments compared to some, but ‘why, oh why would I wanna be anywhere else?’ Half a century - that’s got to mean something; hopefully another half a century more. Let’s hope and pray so.